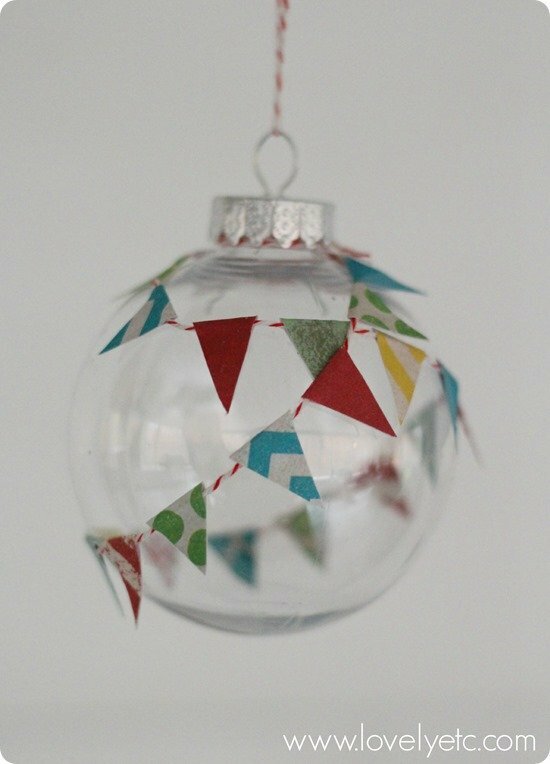 Festive Paper Pennant Ornament - Lovely Etc. So are you sick of handmade ornaments yet? Ready for me to shut up about Christmas already? I hope not because these last few ornaments I’m going to be sharing are definitely some of the best. It seems my ornament making prowess greatly improved with all that practice! 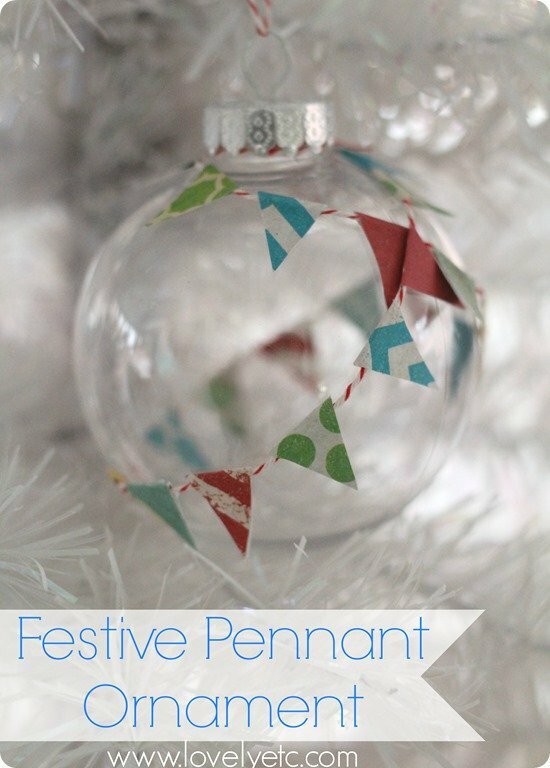 Today I’ve got the cutest little festive pennant ornament for you. And you can most definitely make your own for less than a dollar! 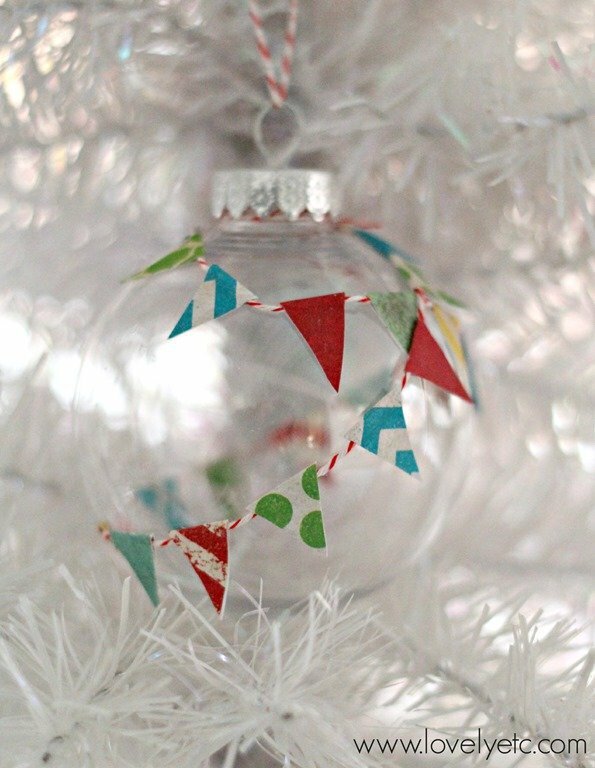 You need a clear ornament, some scrapbook paper, scissors, baker’s twine, and glue. First you need to make your little banner. Since the ball is clear, you will be able to see the banner from both sides so you are going to want it to be two-sided. 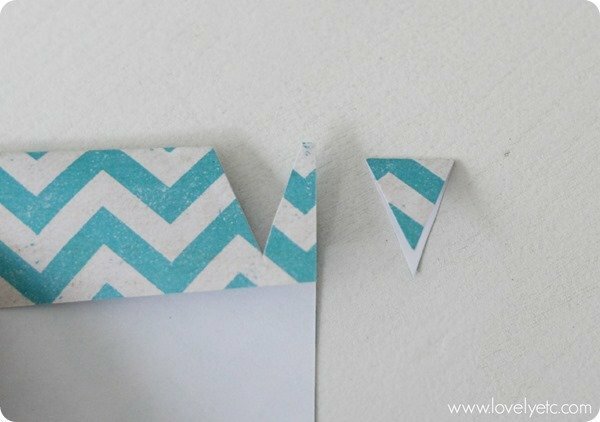 Just fold your scrapbook paper in half and then cut out a triangle along the fold. Each of my triangles is around a half inch wide. 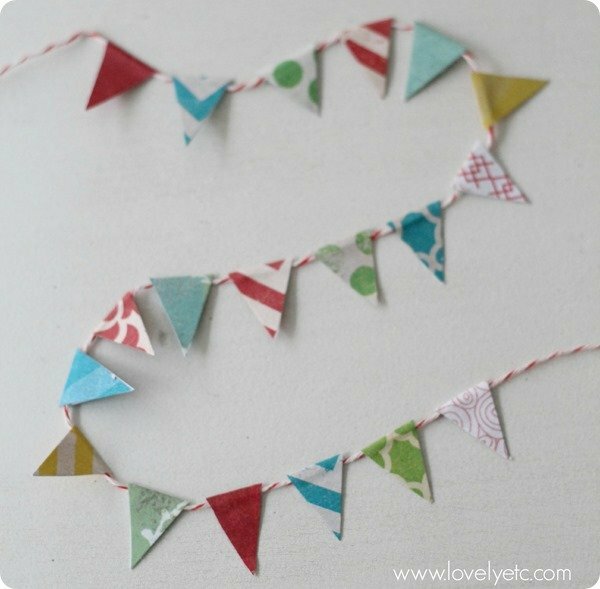 Fold each pennant over the baker’s twine and use a dot of glue to glue the two halves together. (I used regular white school glue but any glue should work). Now to attach it to the ornament. Tie one end of the baker’s twine around the top of the ornament. Drape the pennant around the ornament, gluing a few of the triangles to the ornament as needed to keep everything hanging nicely. Drape it around and back up and tie the other end around the top of the ornament. Attach some more baker’s twine for hanging. And you have a super festive little ornament! Now check out these pretty little ornaments from my fellow bloggers. I’m a bit blown away by how creative everyone’s ornaments have been! 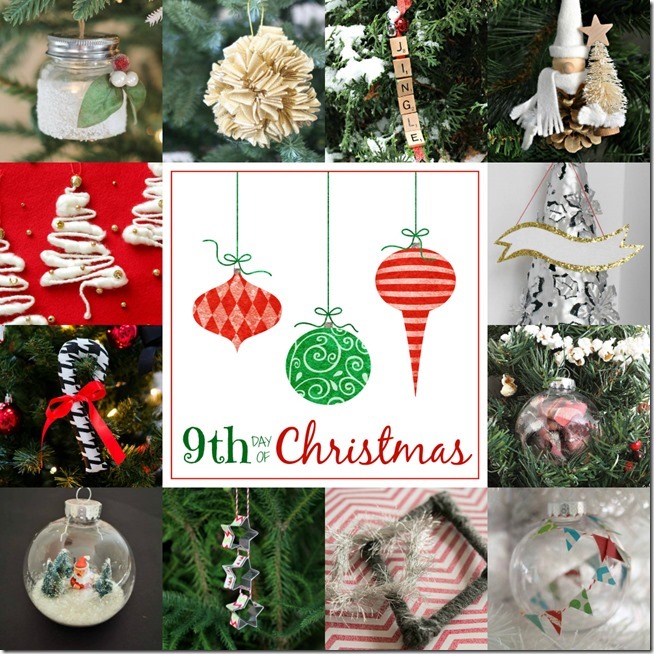 If you’re looking for more handmade ornament ideas, I’ve got them all ready for you right here. This is just the sweetest little ornament and I am sooooo inspired to make some myself!!! !